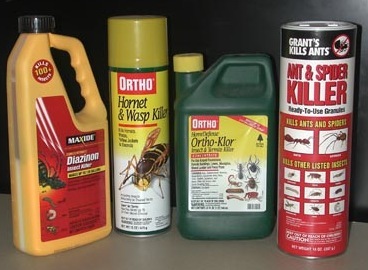 Pesticides are poisons designed to kill a variety of plants and animals, such as insects (insecticides), weeds (herbicides), and mold or fungus (fungicides). They are each composed of an inert carrier and a pest-specific active ingredient, both of which are toxic to humans and pets. inhaled. Powders, airborne droplets and vapors can easily be inhaled. Low-pressure applications present a relatively limited hazard because most of the droplets are too large and heavy to remain in the air. High-pressure applications, however, are particularly dangerous because the droplets are small enough that they can be carried by winds for considerable distances. Pesticides with a high inhalation hazard should have a label that instructs the user to use a respirator. The health effects of pesticides are specific to their ingredients. Organophosphates and carbamates, for instance, affect the nervous system, while others may irritate the skin and eyes, influence the body’s hormone or endocrine system, and even cause cancer. Symptoms of pesticide exposure may appear immediately and disappear soon after exposure has ceased, or they may take a long time -- even years -- to develop. Specific symptoms include, but are not limited to, the following. severe poisoning: inability to breathe, small or pinpoint pupils, chemical burns, uncontrollable muscular twitching, unconsciousness, and/or death. disturbances to immune systems (including minor ones, such as asthma and allergies). Only a small percentage of insecticides and herbicides actually reach their intended destinations. The bulk of the chemicals find their way to other places, such as the air, water, food sources, and non-targeted insect/animal species. People and pets track pesticide residue into the house where it may settle on laundry, furniture, toys, and virtually anyplace else. Most runs off into water or dissipates in the air, where it may endanger the environment. This incidental or unintended travel is known as "drift." Fumigant pesticides used outdoors have the potential to travel many miles from their intended targets, drifting through the air into schools, homes, parks and playgrounds. Pesticide drift has resulted in cases of mass hospitalizations, such as in 2007 when 121 workers in Nevada were rushed to the hospital after fumigant pesticide traveled ¼-mile from its intended target. Home gardens usually require significantly less pesticide than large-scale agriculture, although the latter is usually held to safety standards that gardeners are more likely to ignore. CAUTION: slightly hazardous by any of the routes of entry. WARNING: moderately hazardous by at least one route of entry. DANGER: highly hazardous by at least one route of entry. The word "DANGER" alone means that the pesticide’s greatest hazard is that it can severely irritate your skin or your eyes, or both. If the pesticide has the word "DANGER" plus a skull-and-crossbones symbol, it means that the pesticide is highly toxic through one or more routes of entry. Funginex®, for instance, has the signal word "DANGER" on its label because it is a severe eye irritant. 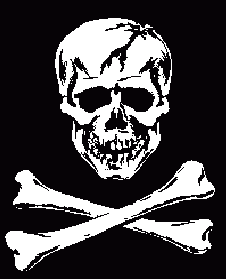 If it were highly toxic through oral, dermal or inhalation exposure, it would have the word "POISON" and the skull-and-crossbones symbol. Labels should also contain a “hazard to humans” section and a “personal protective equipment” section, in which users can learn which kinds of exposures the signal word for that particular pesticide refers to. Limit termite infestation -- and the necessity for pesticide use -- by building with steel, concrete or brick. Borate-treated lumber will repel carpenter ants and termites. Plant disease-resistant plants around the home. Always keep these chemicals away from children. If you must handle pesticides, wear gloves and long sleeves, and avoid breathing the vapors. Carefully follow directions with regard to concentration, protective gear, and restricting access to areas that have been treated. Always ventilate the area well after use. Mix or dilute chemicals outdoors, if possible. Dispose of unwanted pesticides safely, and store partially-used containers outside the living space. Leather items contaminated with pesticides should be discarded. According to Montana State University, when leather watch bands, boots and gloves are worn and become damp, the person will again be exposed to the pesticide. Address any additional concerns with your InterNACHI inspector during your next scheduled inspection.